James Joyce, an Irish Catholic by upbringing, was described as ""the greatest Jew of all"" by his countryman and fellow writer Frank O'Connor. In this exploration of Joyce's identity with Jews and their cultural heritge, Ira Nadel's thesis is that Joyce's Judaism is textual, his Jewishness cultural. 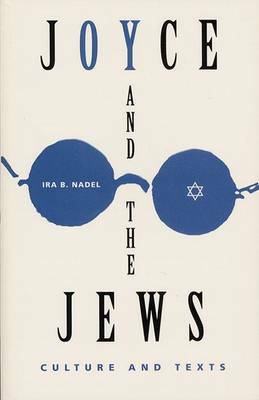 Beginning with a narrative of the exodus undertaken by Joyce in 1904 when he left Ireland, Nadel examines parallels between Joycean and Judaic concepts of history, typology, and cultural identity. He also reviews major Jewish events that occurred in each of the cities where Joyce lived.